Heed ye the warnings around us. Based on these news items, the end is near! What? : Hell has experienced a cold front. The Chicago Cubs are headed to the World Series. 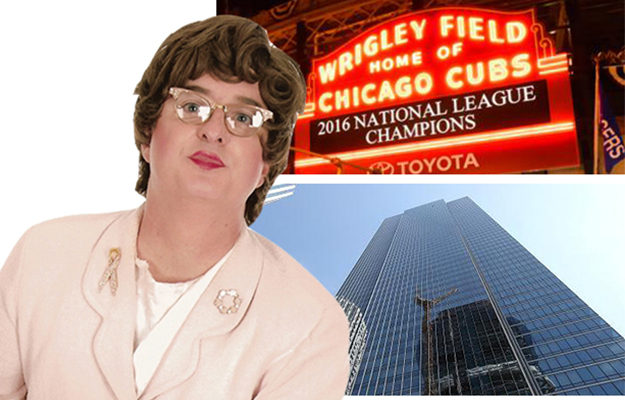 Denizens of Chicago are already taking to partying in ways unprecedented. I haven’t witnessed this kind of revelry since I performed a healing service for the Purple Foundation here in Dallas. This particular group of sodomites is non-profit and all-volunteer, and they throw dance parties year-round where every type of sinner attends, with all proceeds benefiting local HIV/AIDS communities. Witness them at www.purplefoundation.org for more filth. Go Cubs! What?? : In a sure sign that the Lord is disgusted with the filth in the City of San Francisco, a 58-story high rise containing multi-million dollar apartments is verified to be sinking. Experts determine that it will continue to sink an average of one inch every year. Sub-basement parking areas reveal more cracks than a plumber’s convention. Should the Almighty decide to send an earthquake to rattle the unfaithful, things will only get worse. Repent, all ye sinners, the end is nigh! WHAT???? 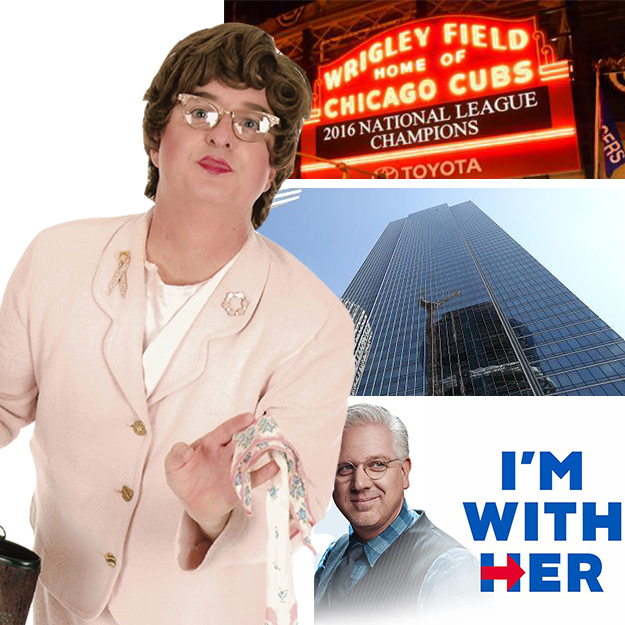 : Glenn Beck has endorsed Hillary Clinton for President. People what more proof do you need? Lord, come quickly!